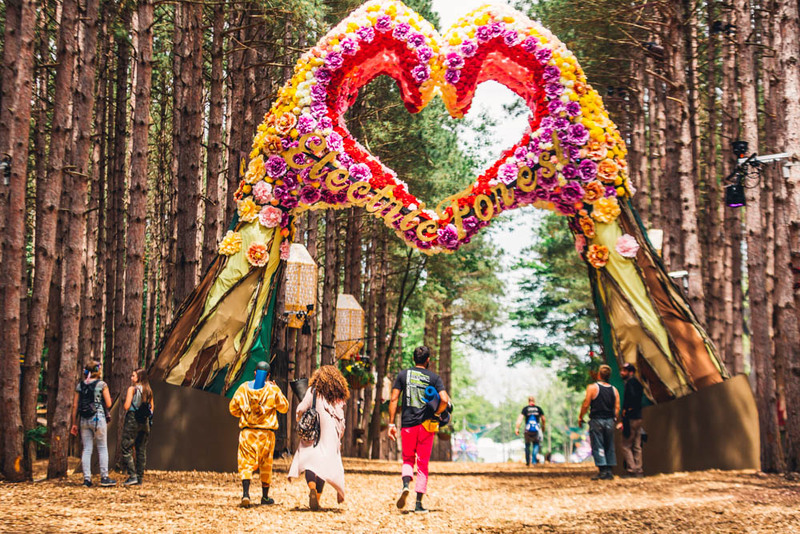 The 2018 Electric Forest Festival was the 8th edition of the event, preceded on the same festival grounds by the Rothbury Festival in 2008 and 2009. 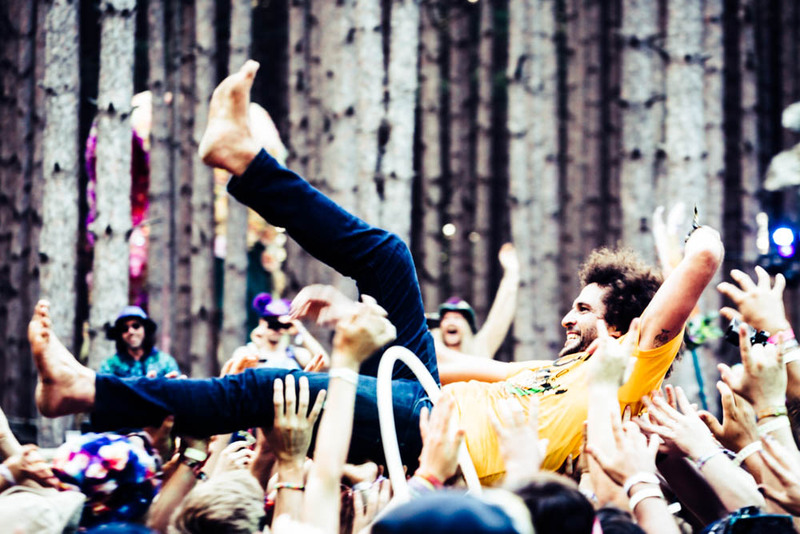 The Electric Forest Festival continues to be primarily an EDM/DJ oriented festival that is very heavy on the bass. In the spirit of full disclosure, I admit that I am not a fan of EDM/DJ or bass-heavy music, so if you're looking for a review of those genres, you won't find it here. That being said, there is always enough music from other genres to keep me busy, and of course, Sherwood Forest, other attractions, and the performance art are worth the price of admission alone, even if you didn't see any music. The last two years the festival expanded to two weekends, each lasting four days. Many of the artists appeared both weekends and others only appeared at one weekend or the other. 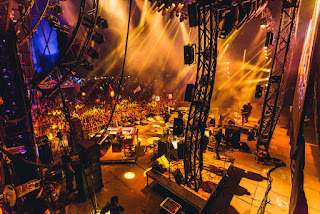 The driving force behind the inception of the Electric Forest Festival is the String Cheese Incident, who played two consecutive nights each weekend, culminating with their monster stage production dubbed “The Big Shebang,” which traditionally occurs during the second set of their Saturday night show. More about that later. 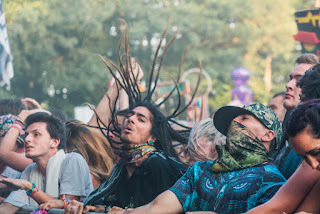 The philosophy that SCI brings to the festival is blending many different genres of music, and blending the crowds attendant in those genres into one big melting pot of music and people. This has been successful for the most part. Every year I come to the festival not knowing the vast majority of the artists listed, and I do my best to research them beforehand and pick out ones that sound interesting. I also rely on friends with varying tastes to make recommendations. This year I heard more bands that were new to me that I really liked than I have in previous years. There were changes to some of the stages this year, with the Jubilee stage and the Hangar switching physical locations on the festival grounds. The best change this year was the addition of the Carousel Club set in the back of the Hangar. In previous years, a stage was set at the back of the Hangar which featured good music and other forms of entertainment, but it was set among the various shops and vending areas set in the Hangar. This year, the Carousel Club was set up in an area at the back of the Hangar, but walled off from the shops and vendors and decorated in the style of a fashionable nightclub. Tables lined the sides on risers surrounding an ample dance floor. The stage was set low with no barriers allowing the audience to get right up on the performers. This made for a high degree of intimacy and intensity for both the performers and audience. For me, much of the best music of the festival took place on this stage. The other noticeable change to stage areas this year was the opening up of the area around the Observatory. Many of the vending stations and a bar area were removed to allow for a larger and more open area for the audience. 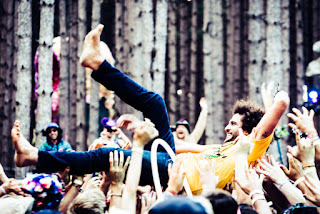 Again this year, the Observatory stage hosted some of the best “sleeper” sets of the festival. Two of the best sets of the first weekend took place at the Observatory. On Friday afternoon, the Shook Twins performed and wowed a lot of people who weren't familiar with them. The twins (yes, they really are twins) are based out of Portland, OR and they play a bouncy, quirky, fun brand of folk-rock with entertaining and introspective lyrics. Both the sisters sing and play multiple instruments, and they are backed by bass, drums, and an additional guitarist. They presented a high energy set that pleased not only their fans, but drew in many folks passing by. The Shook Twins played multiple sets the first weekend and also appeared with the String Cheese Incident during their Friday night show the first weekend. More about that later. They also performed with the Everyone Orchestra, and they stole the show in both cases. The other very notable performance at the Observatory the first weekend was the late-Saturday night (starting at 2:00 a.m.) by The Main Squeeze. TMS is a funk band based out of Chicago that has been around since 2010. But TMS is not just a funk band. They meld some hard rocking grooves with their funk sounds, driven by their outstanding guitarist Max Newman. Corey Frye is the frontman and lead singer who’s stage presence and vocals tie the entire sound together. Highlights of their Observatory set were a jammed out riff on the Game of Thrones theme song, a 20 minute rendition of "Whiskey, Women, and Cocaine," and a stunning cover of "War Pigs." This was one of the best sets by any band I’ve seen at any Electric Forest Festival. The Main Squeeze played both weekends of the festival and cranked out another great set on the final Sunday night of the festival at the Jubilee stage. For my money, the hardest working musician of the festival was Natalie Cressman, who in addition to her solo career is known for her work with the Trey Anastasio Band. Hard to categorize, but with a distinctly jazz-based sound, Cressman is both a virtuosic trombonist and a gifted vocalist. 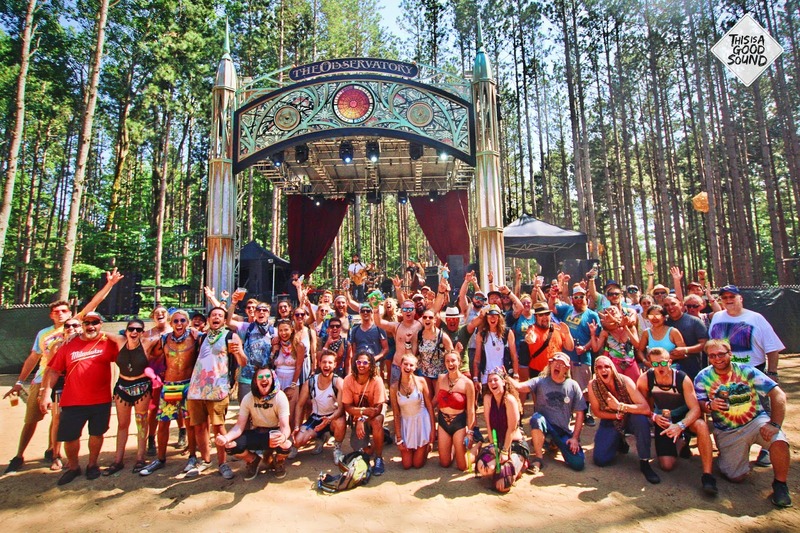 Backed by very accomplished musicians on bass, drums, and guitar, she presented original music in multiple sets both weekends at the Forest Stage, the Carousel Club, and sat in with the String Cheese Incident and twice with the Everyone Orchestra. Her sets displayed some of the best musicianship of any bands during the entire festival. Turquaz, the Brooklyn-based funk/rock band also contributed some solid sets both weekends of the festival. Frontman, guitarist, and vocalist Dave Brandwein holds down the center while the horns, keyboards, and vocalists Sammi Garett and Shira Elias provide a deep groove. Reminiscent of soul bands from earlier decades, they provide a well-rehearsed and choreographed show that displays a high level of professionalism and passion. Their sets were some of the most dynamic of both weekends. Other highlights of the first weekend included performances by the Everyone Orchestra, which is a conglomeration of artists from different bands performing improvisational music under the direction of ringmaster Matt Butler. The Shook Twins, Natalie Cressman, Joel Cummins of Umphrey’s McGee, and various other artists joined Butler for some high energy, creative sets. 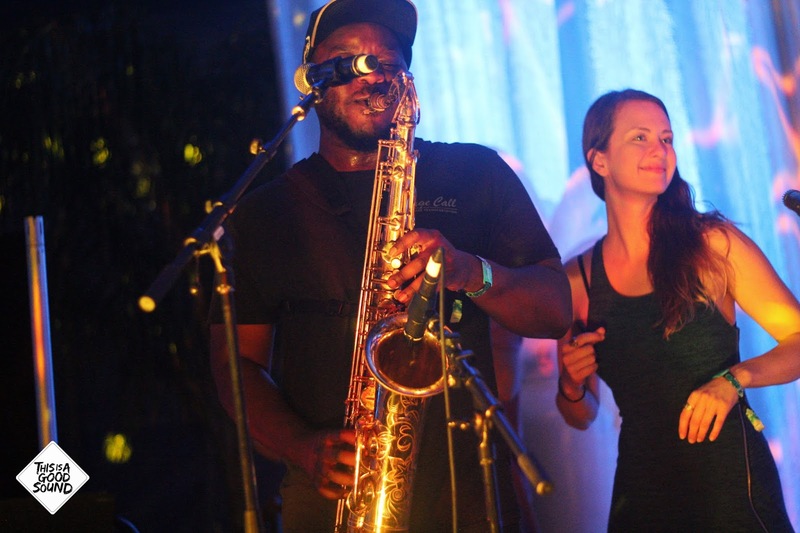 Festival stalwarts Toubab Krewe brought their Malian-infused rhythms and melodies to the Carousel Club. The Seattle-based Soul/R&B outfit The Dip also played an admirable set at the Carousel Club. Another interesting mash-up outfit graced the Carousel Club stage; Marc Brownstein’s Star Kitchen brought together Brownstein, the bassist for the Disco Biscuits and a collection of friends from other bands for a lively set. Another pleasant surprise at the Observatory stage was Lawrence. Clyde and Gracie Lawrence are a brother and sister act out of New York city that plays mostly soul-pop music with some tinges of funk, R&B, and rock ’n’ roll. Gracie Lawrence produces a prodigious and soulful sound from her petite frame, while her brother leads the band from the keyboards. 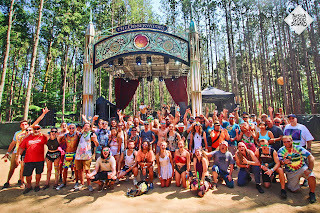 The second weekend of Electric Forest kicked off with some serious funk from Cory Henry & The Funk Apostles and the Nth Power at the Jubilee stage. Keyboardist Cory Henry, known for his work with Snarky Puppy put up a solid set of gospel-tinged funk highlighted by the work of his backup singers. 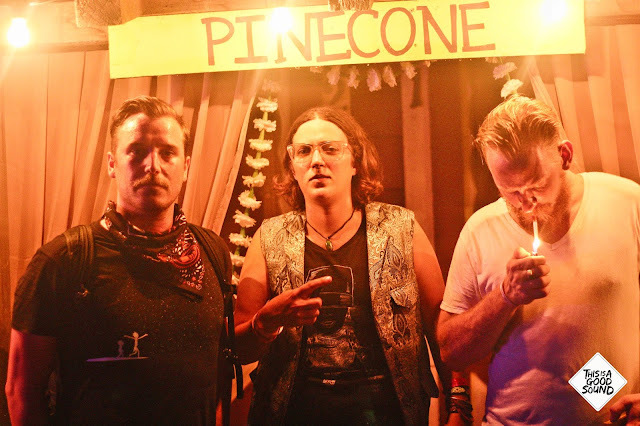 The Nth Power, the brainchild of former Beyonce and Dumpstaphunk drummer Nikki Glaspie, is a funk power trio rooted in the intense and sophisticated drumming of Glaspie. Unfortunately, both the Cory Henry and Nth Power sets were sparsely attended, which is a shame considering the world-class talent on display. The funk continued in the Carousel Club with the Minneapolis-based band Pho, who provided a highly danceable set with their horn-based sound. Once again, the Carousel Club was the stage for some really great music. The highlight of Thursday week 2 was Xavier Rudd at the Jubilee stage. The Australian singer-songwriter and multi-instrumentalist put on a mesmerizing show filled with his highly rhythmic music that incorporates elements of Australian indigenous cultures with a message of peace and unity. The Jubilee stage area was packed, and they were treated to a strong performance with a lot of positive energy to set the stage for the rest of the weekend. The Observatory Stage hosted the Michigan Rattlers on Friday, again demonstrating that some of the best music was not on the large main stages. The Rattlers are a trio of guitar, upright bass, and keyboards that was founded by lifelong friends Graham Young and Adam Green, who grew up in Petosky, MI, or “Up North” as we say here in Michigan. They didn’t start making music together until they both wound up in L.A. where they formed the band. Keyboardist Christian Wilder joined the group rounding out the lyric based not-quite-country, rock informed sound that draws inspiration from AC/DC, Creedence Clearwater Revival, Bob Seeger, Bruce Springsteen, and Tom Petty. Named one of the “Ten New Country Artists You Should Know” by Rolling Stone magazine, the trio brings genuine enthusiasm and heart to their performances. Friday also featured another great set by the Everyone Orchestra, this round featuring among others Kyle Hollingsworth of the String Cheese Incident, Natalie Cressman (again! ), Mimi Naja from Fruition, and her bandmate Jay Cobb Anderson. Matt Butler again conducted a set of marvelously improvised music that had everyone in the packed Carousel Club dancing hard in the sweltering heat. On Saturday the hardest working woman in show business (at least at the Electric Forest Festival), Natalie Cressman presented another really strong set at the Carousel Club stage. The word had gotten out about her strong previous performances, and there was a large and very appreciative crowd at this set. Turquaz played another late night set on the Jubilee stage that again demonstrated their prowess at putting out high energy, highly danceable funk and R&B. The second Sunday saved the best for last with the Main Squeeze and Karl Denson’s Acid Jazz Drop, both at the Jubilee stage. The Main Squeeze put on another great show, although not as intense as their late night first week set. Karl D’s Acid Jazz Drop was another conglomeration set featuring Karl Denson’s Tiny Universe with guests DJ Cut Chemist, Corey Frye of the Main Squeeze, Trumpeter and vocalist Jennifer Hartswick, and, you guessed it, Natalie Cressman. Karl Denson’s Tiny Universe always puts on a great show of jazz based fusion music, and with the addition of Cut Chemist adding some great backing tracks along with Cressman on the trombone and Hartswick on the trumpet, both adding vocals, the band really spread out and provided an exceptional blend of jazz and funk. 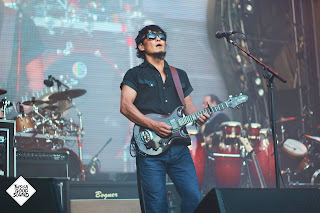 And of course, there was the String Cheese Incident who played two shows each weekend. The first weekend they played on Thursday and Friday, and the second weekend they played Friday and Saturday nights, with Saturday night being their traditional Big Shebang. This year’s Shebang was not the most impressive they’ve put on, but it’s always entertaining and a true spectacle nonetheless. As usual, they had a number of guest musicians sitting in with them over the course of the two weekends, some of whom have already been mentioned, but another was Griz, who played sax with the band on a couple of numbers on Friday the first weekend. Other notable sit-ins were Xavier Rudd, The Glitch Mob, and Cory Henry. Matt Butler also conducted an Everyone Orchestra-like jam session. SCI always puts on a well-rehearsed, professional show with top-notch stage production, and they once again put it all together this year. They broke out several new songs, and threw down some great covers including "Workin’ Day and Night" by Michael Jackson, the Eurythmics "Sweet Dreams," and "Superman" by REM. 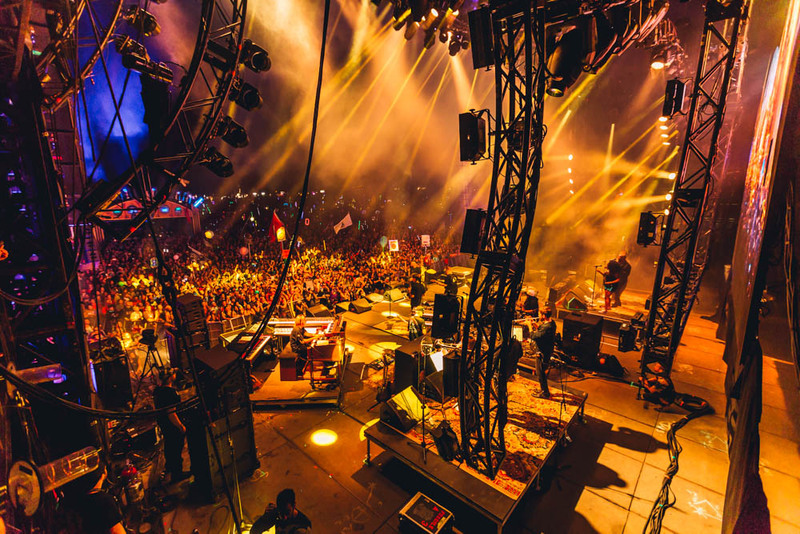 The Electric Forest Festival continues to be one of the premiere multi-day music festivals in the country. It is a truly unique experience that looks like it will be continuing for a number of years to come. This was the second year of a three year trial of running the festival for two consecutive weekends. As of now, there is no word on whether or not that will continue after next year, but regardless, it is a marvelous, immersive experience that should not be missed.